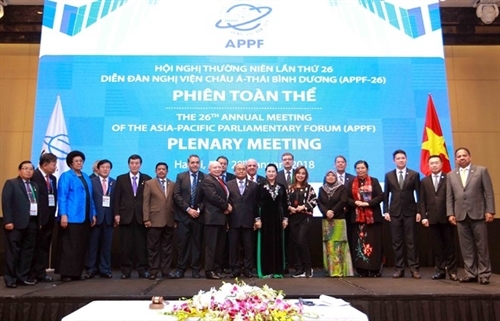 The 26th annual meeting of the Asia-Pacific Parliamentary Forum (APPF) from January 18-21 adopted the Hanoi Declaration, setting forth a new vision for Asia-Pacific parliamentary partnership. 1. We, the parliamentarians of the Asia – Pacific Parliamentary Forum (APPF), gathered in Hanoi, Vietnam under the theme “Parliamentary partnership: Peace, innovation and sustainable development”. We endorsed this Hanoi Declaration to mark the 25th anniversary of APPF and chart out the course of development for the Forum towards 2030. 2. We recall the timely establishment of the APPF in 1993 to meet the demand for dialogue and cooperation of member countries and the region at the end of the Cold War. 3. We are pleased to note on the remarkable achievements that the APPF has attained in its twenty five years of development. The APPF has relentlessly pursued common goals of promoting dialogue and cooperation for peace, stability, prosperity in the region. The APPF cooperation and dialogue have contributed to regional peace, stability, cooperation and development. 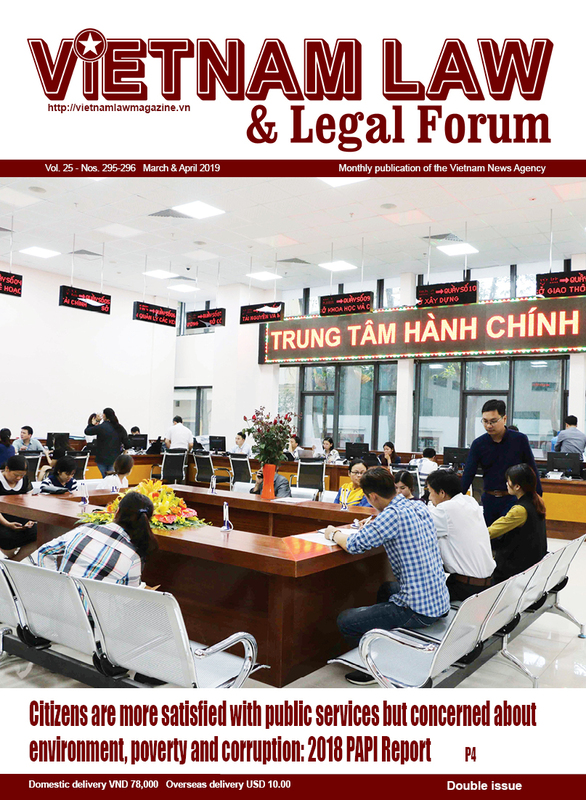 The APPF’s member countries have redoubled efforts to strengthen international cooperation on the basis of equality, mutual respect and benefits, respecting the principles of international law, toward a peaceful, stable and prosperous Asia - Pacific region. APPF has supported and complemented efforts of the Asia - Pacific Economic Cooperation (APEC) in promoting trade and investment liberalization through lowering tariffs, trade barriers, streamlining custom procedures, thus narrowing the development gap among members and reinforcing the multilateral trading system. APPF’s member countries have achieved encouraging results in implementing international sustainable development commitments, including the Millennium Development Goals (MDGs) and the agreements under the United Nations Framework Convention on Climate Change (UNFCCC). |The Meeting of Women Parliamentarians, inaugurated at the 24th Annual Meeting of the APPF in Vancouver, henceforth will be held on the occasion of the APPF Annual Meeting in order to foster ongoing discussion and exchange of best practices and experiences related to topics of common interest to women parliamentarians and promoting gender equality in the region. 4. 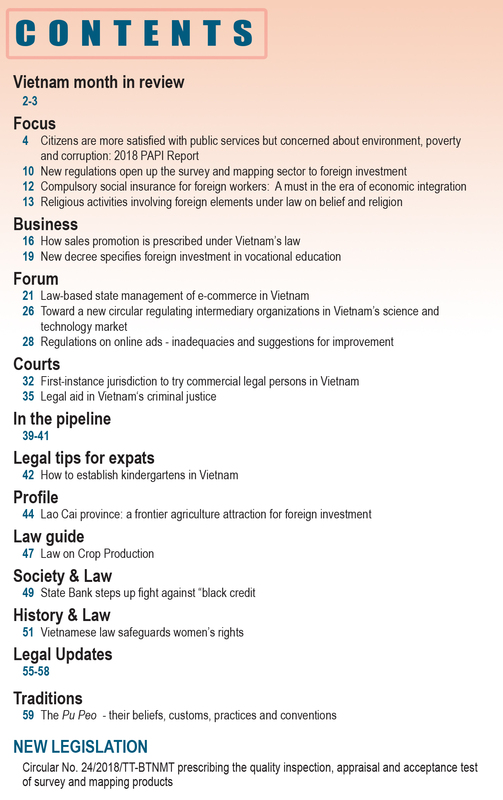 APPF has contributed to the common efforts of regional and international mechanisms, including the Inter-Parliamentary Union (IPU), ASEAN Inter-Parliamentary Assembly (AIPA), Pacific Basin Economic Council (PBEC), in maintaining the peaceful and stable environment for cooperation and sustainable development in the Asia-Pacific and worldwide. 5. We recognize that the regional and global landscape and multilateralism are undergoing fundamental changes with many intertwined opportunities and challenges that have far-reaching impacts. Fundamental shifts worldwide are harder to foresee. The political and security situation in the world, particularly in the region, have experienced complex developments with various underlying destabilizing factors, in particular security threats which seriously influence regional and international peace, stability and prosperity exist in Asia - Pacific in spite of constant efforts by entire international community. Nationalism, populism and unilateralism are on the rise; flashpoints, regional conflicts, terrorism, territorial disputes, refugee crisis, cyber security, disasters and epidemics continue to present serious challenges. Regional and global economic recovery is on track, yet economic integration has slowed down in many regions as protectionism has risen. Trade and investment have generated unprecedented prosperity in the Asia-Pacific, but barriers remain. The multi-layered integration and cooperation trends as well as reforms and revitalization of multilateral institutions have been actively pushed forward. Historic multilateral agreements such as the United Nations 2030 Agenda for Sustainable Development and the Paris Agreement on Climate Change have brought fresh opportunities for development cooperation. The Fourth Industrial Revolution is expected to boost productivity, transform the linkages in global and regional value chains, but at the same time may contribute to increased inequality in the distribution of the benefits of growth and globalization. Against that backdrop, it is critical to maintain and further the role of multilateral fora in the regional architecture and in addressing those intertwined challenges. 6. We acknowledge that the APPF is at a critical transforming juncture and the Forum needs to reform to better serve the need for dialogue and cooperation among members and for increased contribution to international and regional multilateral cooperation, including the implementation of the United Nations’ 2030 Agenda for Sustainable Development and the Paris Agreement on Climate Change. 7. Building on the achievements of the APPF and leveraging on the opportunities of the digital age and globalization, we believe that APPF will shape a strategic and an aspirational vision, thus contributing to maintaining and reinforcing peace, stability and prosperity in the region, as well as promoting multilateral efforts to cope with new challenges. To realize that vision, we reaffirm that peace, stability and security are prerequisites for sustainable development. 8. In an ever more connected region, we maintain as an important objective of our engagement the increased participation of women, youth, and Indigenous communities across the political, economic and social spheres as well as the greater inclusiveness of our societies for our mutual benefit. 9. We commit to further the APPF’s mandate and build up a responsible parliamentary partnership towards a shared Asia –Pacific community’s future of peace, stability, innovation, interconnected and sustainable development. We highlight a partnership underpinned by the seven principles on the relations among Asia Pacific countries as mentioned in the Vancouver Declaration, the Tokyo Declaration, and the Pacific Basin Charter reflected in the Valparaiso Declaration. 10. We underscore the commitments made by member parliaments to the common goals and shared benefits, on the basis of the principles of respect for independence and sovereignty, territorial integrity, political, cultural, religious diversity, placing particular emphasis on the rule of law and the international law. 11. We reaffirm our commitment to promote cooperation in the spirit of frank and constructive dialogue, tolerance, harmony, mutual support, respect for the fundamental principles of the United Nations and international law. That the APPF member countries continue to pioneer in maintaining peace, stability and security in the region and worldwide, preventing conflicts and seeking solutions to end conflicts, promoting dialogue, building trust, respecting international law, norms and standards. Underlining the importance of maintaining freedom of navigation, maritime and aviation safety and security; calling on countries to resolve differences and disputes by peaceful means in accordance with international law and norms and relevant agreements, including the 1982 United Nations Convention on the Law of the Sea (UNCLOS). Strengthening dialogue and joint actions to address non-traditional security threats, including food security, energy security; enhancing cooperation on sustainable management of natural resources, including integrated management and sustainable use of land, forest, ocean and water resources, through joint efforts and trans-boundary cooperation. Strengthening cooperation on disaster risk reduction and response, post-disaster recovery, in such areas as policy framework improvement, innovation, science and technology, facilitation of uninterrupted business, early warning systems, search and rescue. Highlighting the importance of APPF member countries’ contribution to common efforts in preventing and countering terrorism and extremism. 12. We support the efforts and encourage APPF member countries to implement the following actions to promote sustainable and inclusive development and strengthening regional economic integration. Urging and monitoring the Governments of APPF member countries to redouble efforts and coordination in implementing the United Nations’ 2030 Agenda for Sustainable Development and the Paris Agreement on Climate Change. Fully mobilizing resources for investment projects in clean technology, energy-saving technology; showing responsibility and contributing to international efforts in mitigating the impacts of climate change to Asia-Pacific region and worldwide. Advancing structural reform, business facilitation; promoting economic, financial and social inclusion, quality human resources, job and skill training and education with an aim to enhancing capacity of the labor force in the digital age. 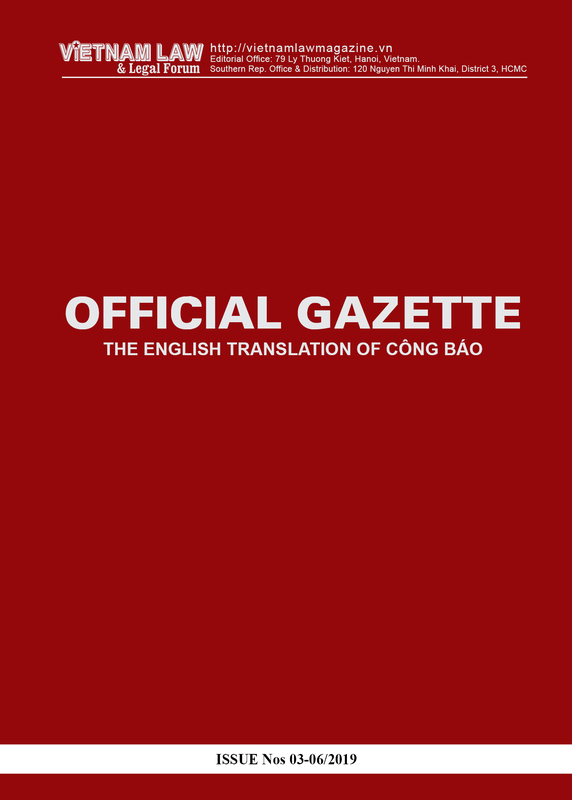 Enhance cooperation to further free and open trade and investment toward the Free Trade Area of the Asia Pacific (FTAAP); building a comprehensively connected and integrated Asia - Pacific; promoting quality and resilient infrastructure, sub-region and remote area connectivity. Reaffirming commitment to support the rules-based, free, open, transparent and inclusive multilateral trading system; commit to urging the Governments to refrain from introducing new protectionist measures. Strengthening cooperation to capitalize on the potential of the digital and internet economy, including through facilitating e-commerce and digital trade; enhancing services competitiveness. Strengthening Micro, Small and Medium Enterprises’ (MSMEs) innovation, facilitating MSMEs’ access to finance, technology and management; fostering policies and legal frameworks for start-ups and women’s leadership role in MSMEs. Enhancing food security and sustainable agriculture, increasing agricultural productivity and resilience in response to climate change. 13. We underscore the importance of reforming APPF’s procedures in making policies, implementing resolutions and agenda, as well as the Executive Committee’s membership and operation. We reaffirm our commitment in reforming APPF for the Forum to be more adaptive to the fast-changing regional and global landscape.